From May 20 – September 2, 2013, The Coffee Bean & Tea Leaf will keep their customers cool during their landmark 50th anniversary celebration with the introduction of a new Birthday Cake Ice Blended beverage. Available nationwide, the drink will be offered alongside the brand’s limited time summer Rocky Road and signature Mocha flavors. 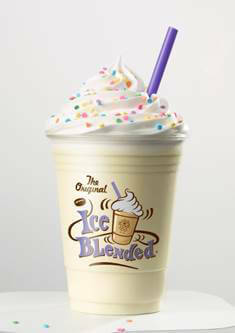 The Original Ice Blended drink from The Coffee Bean & Tea Leaf pioneered the frozen coffee craze. The innovative handcrafted beverage was created in 1989 when a team member at the Westwood, CA store brought a blender from home, borrowed ice from the store next door, and blended together coffee, chocolate powder, milk, and ice. Today, over 20,000 Ice Blended® drinks are served daily worldwide and over 7 million annually. Marking the new Ice Blended® flavors’ debut on Monday, May 20, The Coffee Bean & Tea Leaf® hosts its 50th Birthday Celebration with Buy One Get One Free Birthday Cake, Mocha, and Rocky Road Ice Blended® beverage daily June 3 – 7 from 2pm-6pm at participating stores across California and Arizona. 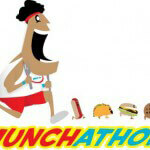 In addition, the brand will designate Thursday, June 27, 2013 as ‘The Coffee Bean & Tea Leaf® Day’ in Los Angeles, CA. “We were ahead of the curve when we first introduced the Ice Blended® beverage, sparking the future of iced coffee drinks” notes President Mel Elias. 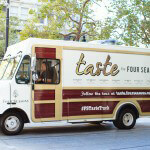 Treating loyal The Coffee Bean & Tea Leaf® fans throughout summer 2013, the company’s new Ice Blended® mobile truck will tour Southern California cities including Los Angeles, Orange County, and San Diego sharing free Birthday Cake, Rocky Road and Mocha Ice Blended® samples. 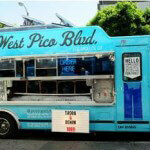 The truck will also participate in various outdoor events including KIIS FM Wango Tango, the Billabong XXL Big Wave Awards, the Vans U.S. Open of Surfing, and the X Games. 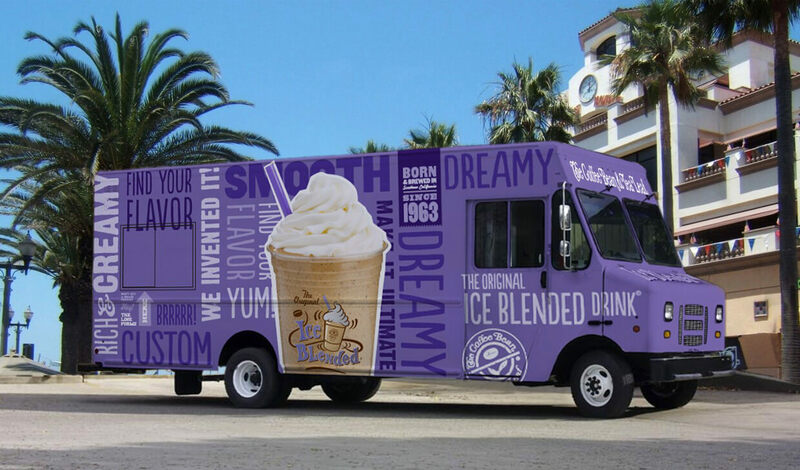 Fans can track the truck by following @TheCoffeeBean on Twitter and using the hashtag #IceBlendedTruck. 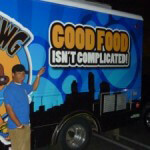 Tying a food truck, and thereby adding mobility, to an already-established brand is an ambitious idea, one that seems fruitful considering the summer tour lineup. 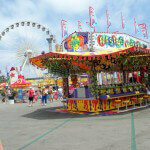 Utilizing a hashtag will allow fans to track its whereabouts and streamlined any shared images of the experience. Will you visit the Ice Blended Truck this summer? Oooo- I want to try the birthday cake blended~! Yum!! Great idea! I hope I run in to it somewhere. There is nothing like an iced mocha in summer! Birthday Cake is one of my favorite flavors! It can’t get any better. A vanilla blended treat on the go! I want to do this in Salt Lake City! How can we team up? Hi Diana! Let me check with Coffee Bean’s PR people and see if this is something they’d consider. I’ll keep you posted!